Denny Jump (Bellevue, WA, United States) on 20 February 2012 in Landscape & Rural. Wow, this looks very good, Denny. @Christine: Thank you so very much dear friend ;-) Any more parsnips growing around? A lovely timeless statement shot here, Denny . . seldom a sense of rush in a graveyard. Lovely textures and depth of field, Denny! Fine DOF producing great contrast. I like the strong vertical feeling. @Richard: As always, I shall remain: "Real Gone, Man!" An interesting composition of halves! I love the textures captured in the stone, accompanied by a nice DoF to highlight the background. 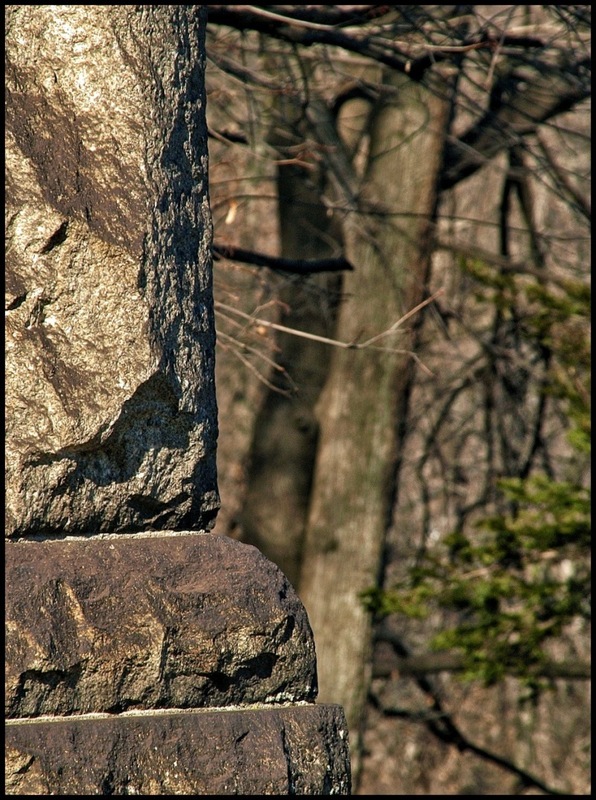 I can almost 'feel' the crannies in the stone ... as if I were peeking around to look off in the distance. This seems like "strength" as well as texture.